Make more space, exactly where you need it, with a drawer that moves across the entire width of the fresh-food section. 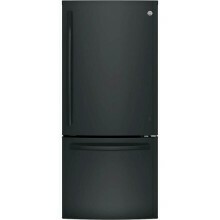 Refrigerator comes ready to automatically create ice. Easy-to-reach controls display accurate temperatures. Click the button below to add the GE - 20.9 Cu. 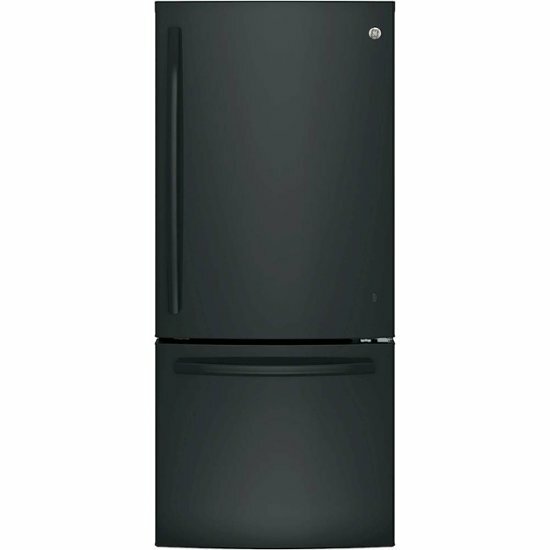 Ft. Bottom-Freezer Refrigerator - Black to your wish list.